There are some days when after a long day of children not listening, screaming and what seems like everything that could go wrong does go wrong that you need a tall glass of wine and some quiet time alone in the bath. Then there are days where after all of this happens that you really just need to get out and kick something or better yet ride you Mountain Bike and take out your stress on the trail. This is exactly what I needed after what has felt like the longest week in history, but it is only mid-Wednesday. 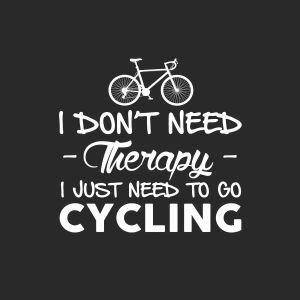 Riding is therapeutic and downright well amazing in times of need. After this long Wednesday, thanks to my brilliant husband (please don’t tell him I said that it would just go straight to his head) the family all went for a ride out in Southwest Las Vegas for a ride. We rode the shortened version of the Tour De Bris. We headed up the Bris Cutoff of the trail cutting the trail. The switchback of the trail was really nice and gave the ride a little more wiggle to the rather straightly line it looks like you are going in on the map. There was a slight incline to the ride, but for a beginner, it would be nice to start on. The ride provided elements that I think would benefit a beginner or even an intermediate rider. I don’t know if I would consider myself a beginner exactly since I theoretically know what I need to do, but I’m not intermediate. After riding this trail I found that I will be able to work on some of the skills that I need to improve on, such as going into turns more aggressively but without the fear of falling down a mountain. I did, however, eat it really nicely attempting to into a turn a bit too aggressively. According to my husband, who saw the brilliant crash, he saw it coming. He told me that he wasn’t sure why I wasn’t slowing down and proceeded to say “oh yeah this kind of dirt isn’t good for digging into and making turns like that” So you See. You learn something new every day. This is just another reason why I am “The Girl who Falls off Bikes” and you can always learn something. I know I have a crazy amount to learn about riding. The Tour De Bris though is a really fun ride. It isn’t filled with crazy downhills or epic jumps (that I know of yet). I did say I rode the shortened version. I will update once I ride the trail in its entirety, but this trail put a big smile on my face. Even after I ate dirt. There are amazing ups and downs, Christmas trees and decorations along the way. We even watched the Train drive by which put a big smile on my little man's face. This trail is definitely on my list of trails to take beginners on. If you enjoyed this perspective and review of Tour De Bris than sign up to receive updates from Created By Nerds.